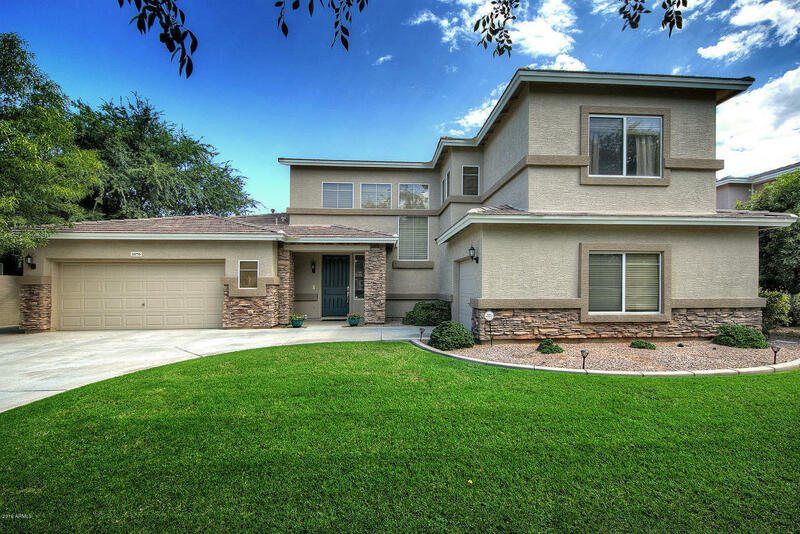 Rare find in Morrison Ranch - This Master Down, 4 Bd + Game Room, 2.5 Ba is meticulous. Enter this home to find a wide open living space w/ cathedral ceilings. To the right is the kitchen, nook and family room adjacent to each other. To the left of the entry, the master bedroom & powder room. Upgrades includes laundry cabs with built-in sink. Intercom system allowing you to "answer" the door without opening. Speakers in master bdrm, master bath & patio. Speaker prewire for surround sound in family room, game room and backyard. Jetted tub in master bath. Tons of storage under stairs and "dual" master closets. Huge secondary bedrooms with full-length closets. New carpet installed July 2016. Repainted inside and out in 2014. A true showstopper in an incredible neighborhood.